Apple is gearing up for a revamp of its iPhone lineup, but it’ll need to do a lot more to catch its rivals in some of the world’s hottest smartphone markets. The company’s signature device has failed to gain a strong foothold in countries like China and India, as well as other markets in Asia, where most of the growth in smartphone sales is coming from. 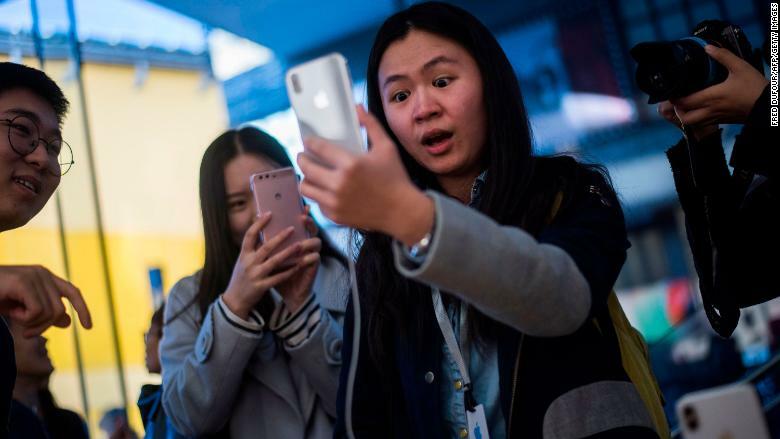 “If we are just looking at the Western markets then they are all mature, everyone has a smartphone,” Kiranjeet Kaur, an analyst at research firm IDC, told CNNMoney. People in developed markets are also waiting longer to upgrade their phones, she added. “Companies like Apple, they’re only going to see slowed growth because of that,” Kaur said. By contrast, Asia offers huge potential. Hundreds of millions of people in the region have never bought a smartphone, but so far Apple has largely missed out on the opportunity. The iPhone accounts for only 2% of smartphone sales in India and between 8% and 10% in China — the world’s two biggest markets — according to industry estimates. It also has a small share of other Asian markets with huge potential, accounting for 5% of sales in Vietnam, 8% in Thailand and just 1% in Indonesia in the past year, according to IDC. In addition to its perennial rival, South Korea’s Samsung (SSNLF), Apple is facing tougher competition from Chinese players such as Huawei, Oppo, Vivo and Xiaomi. All four have surged ahead of Apple (AAPL) in China and now control more than 80% of that market, according to research firm Canalys. Huawei overtook Apple as the world’s second biggest smartphone brand — behind Samsung — earlier this year. A Chinese woman reacts while setting up the facial recognition feature on her iPhone X inside an Apple showroom in Beijing on November 3, 2017. The trade war could make life even harder for Apple in China, where overall smartphone shipments suffered their biggest decline ever in the first quarter of 2018. “The biggest risk for Apple in the future is the current China-US conflict,” Jia said, adding that tariffs on components could drive its prices even higher. 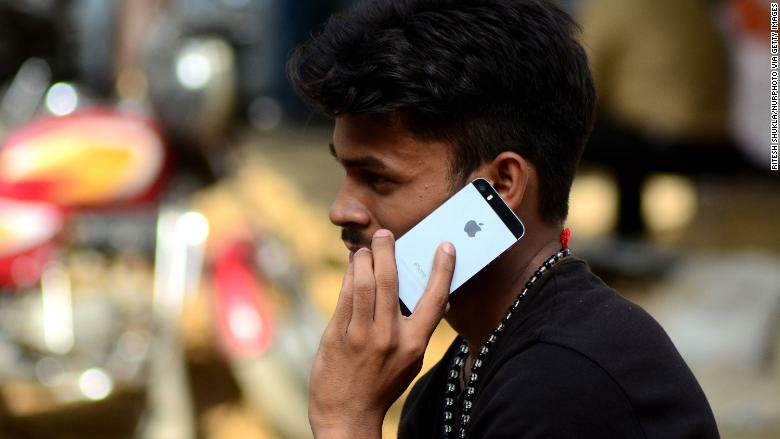 Prices are already Apple’s biggest challenge in India, where around 800 million people have yet to experience the internet, and most of them will likely do so through smartphones. The country is one of the world’s most expensive places to buy Apple devices, with increased tariffs pushing the price of an iPhone X to $1,700 earlier this year. That puts it out of reach of most Indians, who earn less than $2,000 a year on an average. “People don’t even spend so much on their TVs and other consumer durables,” said Kaur of IDC. Apple last year began manufacturing some lower-end devices at a plant in Bangalore to avoid hefty import duties, but its top models like the iPhone X and the iPhone 8 are still shipped in from overseas. An Indian man talks on his iPhone in Allahabad, India on May 23, 2016. Samsung and Xiaomi, meanwhile, make nearly all their Indian smartphones locally, and have doubled and tripled respectively their manufacturing capacity in the country in recent months. They have carved out a dominant position in the market. Apple is also losing out among wealthier Indians, its prime target market. China’s OnePlus is the leader in high-end smartphones. “Apple needs to grow as fast as [that] segment,” said Tarun Pathak, an analyst at Counterpoint Research. The top end of India’s market is growing by 20% a year, Pathak added, compared to 13% globally. “India is a very critical market,” he said. Wednesday’s launch could see some of the latest iPhone features like Face ID brought to some of its lower-end models. That could drive up the price of iPhones in general but may make the cheaper versions more appealing to cost-conscious Asian consumers, said IDC’s Kaur. Apple may also choose to knock down prices of its older models once the new line comes out. “For consumers who want to be in the Apple ecosystem but do not want to spend that kind of money, it’s a good alternative,” Kaur said. Whatever it does, Apple needs to find a way to sell more in Asia. “To ignore these markets would not be the wisest decision,” Kaur added.